Then, opinions and recommendation of our specialists are sent along with the approximate cost range, and the likely duration of the stay in India for the Treatment. These recommendations, cost and stay-duration are just tentative estimates based on the initial screening though, and are liable to change based on actual detailed investigations when the patient arrives. There is also a possibility that the doctor might not consider you fit for the treatment and might suggest another treatment after the diagnosis. 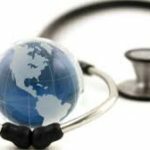 Medical travel to India is steadily increasing as it provides affordable healthcare to all around the globe. Some people travel to seek the best-in-class medical care outside their own country. While others undertake overseas travel to cut down on extra waiting time, as in the case of Citizens of countries like Great Britain and Canada who have national health care schemes. 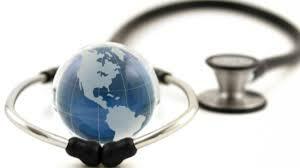 It is generally recommended to consider Medical Tourism Insurance cover while traveling abroad for medical treatment. There are several companies providing such coverage. The main drivers of medical travel to India are the best-in-class medical treatment facilities at only a fraction of what people have to pay in their home countries. As a cost comparison, the eye surgeries cost a meager 1/5th or even lesser of the cost in US. The government of India has introduced medical visa for foreign nationals across the world seeking specialty medical treatment in India for extended periods. A visa-on-arrival system for tourists from few selected countries has been instituted by government of India, which allows foreign nationals to stay in India for 30 days for medical procedures. Eye care and treatment in India is extremely popular all around the globe for its world -class international standards and the use of the most advanced procedures in minimal incision surgeries. Eye360 offers treatment packages at absolutely affordable rates. You can opt for a package for a comprehensive range including eye care for Cataract, Glaucoma, LASIK surgery, no-stitch cataract surgery, and dry eye treatment and diabetic eye disease treatment, cornea disease treatment and Refractive Corneal Surgery. The tariff is applicable for procedures under Local Anesthesia only. The USD prices have been computed with the assumption of 1 USD = 65 INR (Indian Rupees). The USD prices will vary based on the exchange rate. Eye checkup will be conducted over a period of two days. All the tests and preliminary doctors’ consultations will be conducted on the first day. The second day will comprise of compilation of all your test results and a comprehensive Ophthalmologist’s consultation. Additional investigation and consultations may be advised if the eye screen results in detection/ discovery of an abnormality. On completion of eye check, a comprehensive medical summary will be submitted to you comprising of relevant diagnoses, recommendations etc. To make the process of eye checkup a pleasant experience, adhere to these guidelines. Abstaining from consuming alcohol at least 12 hours prior to eye check is mandatory. Carry your medical records that are 1-3 years old and eye accessories like spectacles, hearing aid and other things you need in day to day use. Inform in advance if you want to undergo additional tests/ investigations/ procedures/ consultations at request or if required so that the Customer Care Executive can schedule your appointment. Arrive early at the canter as the day will be full of eye tests and investigations. Inform in advance if you are a diabetic/ cardiac patient. Kindly carry prescription/ medication along with you if you are taking any. If you are a Diabetic on medication, please take the medication as per your normal schedule. If you suffer from hypertension and take medication, please take the scheduled medication at 06: 30 am on the day of the checkup. If you use contact lenses, please do not wear them on the day of eye checkup. 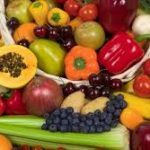 ← Can a Healthy Diet Prevent Cataracts ?